What exactly is it? It’s our celebration of the humanities and communication fields. Local high schools are invited to attend and compete with one another in a variety of categories from literature to theater to film. Individual winners can receive up to $500 Trine University scholarships. The school who does the best will be crowned HAC Cup champion! 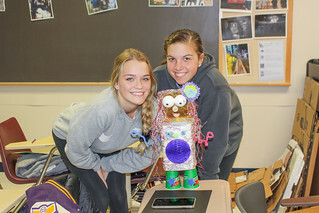 Students will also have the opportunity to attend interactive learning sessions throughout the day covering everything from discovered poetry to gender construction through action figures. The event is hosted onthe Trine University campus during the fall semester. The day is free of charge to students and schools, and includes lunch provided by Trine. Please feel free to contact us if you have questions.